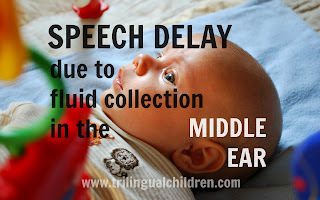 Google+ Raising a Trilingual Child: Speech delay due to fluid collection in the middle ear. Speech delay due to fluid collection in the middle ear. Speech delay is often connected to /“blamed” on a child's gender or on the quantity of languages a child is exposed to. It is true that trilingual children definitely face more challenges than bilingual children do and bilingual children face more challenges than monolingual kids do. But be realistic. If you feel that you put a lot of efforts in your bilingual child’s language development and the results are not proportional to your input, it is time to search for doctor’s help. This life story from Priscila Kohler will illustrate one of the possible causes of speech delay in children and I hope it will help many of you to act promptly to avoid possible complications. I am Brazilian, and I am married to a Norwegian guy. We live in Norway and communicate in English between ourselves. When our son Martin was born, we decide to raise him trilingual. I only spoke Portuguese, my husband English, and Norwegian he would have to learn from the school. I have two close friends whom had their children at the same time as me. So it was natural for me, a first time mom, to “compare” the development of the kids. By the time their children were 2 years old and talking, Martin was not. And two main things kept us from seeking proper help, let’s say. First, he was the only one being raised in a trilingual environment. So, people would say that many children would delay their speaking because of that, especially boys. Second, his personality. He was always a child that could deep concentrate in some activity, not paying attention to anything else, and he is really stubborn. While my friends kids were doing some “tricks” on command, like: clap your hands, put the toy in the basket, etc, Martin never did. And we, me and my husband, never suspected that he could not hear what we told him, but rather, he just chose not to do it. Then the pedagogue from the nursery school showed some concern, due to communication with him. A psychologist is called in to observe him at the the nursery school, and finds nothing wrong with him. Finally, we had a “2nd year control” at the health station, and then, only then, the nurse suspects that he might not be hearing well. We get an appointment with an Ear-nose-and-throat doctor, and within 2 minutes of consultation, the doctor says that Martin has hearing problem. In fact he´s got some liquid stuck in his inner ear (that is really common among children that have a lot of ear infections, for example, but as far as we knew, Martin only had it one time at 5 months of age…). Martin was scheduled an operation to drain the liquid out. It’s a simple surgery , but requires complete anesthesia. The same day we came home from the hospital, and turn on the TV, Martin made a face, and started pointing at the TV, like wow, THAT is how it sounds … It broke my heart. After that, he made a HUGE improvement. Really quick as well. I do feel guilty sometimes for not having thought of that earlier. But no one never suspected that his delay in speech was due to bad ears. Only if I knew that those things are related, I would have done something before. BE AWARE! 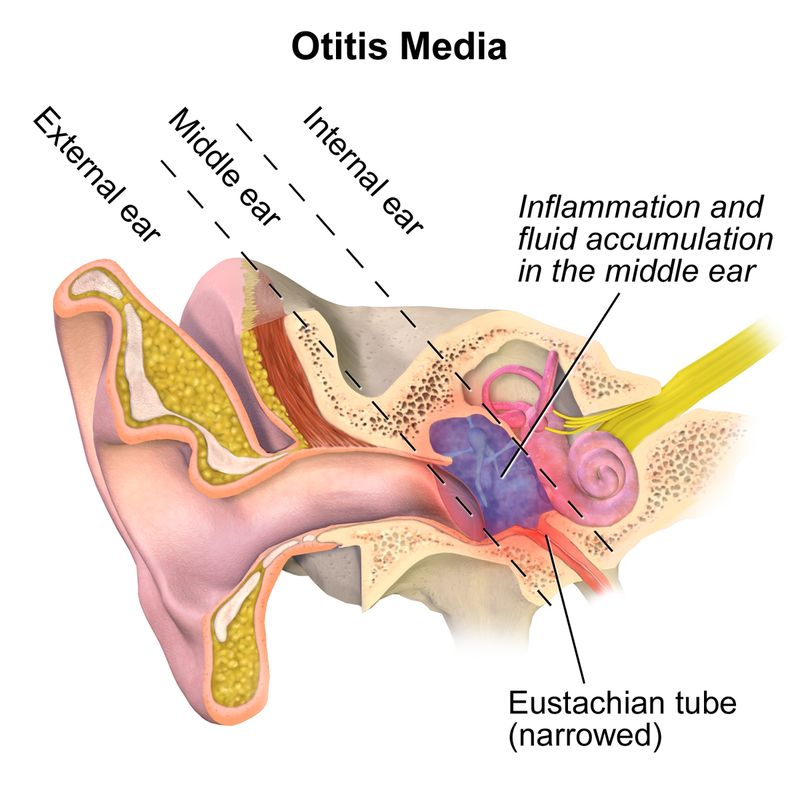 Your child can have fluid in the middle ear (otitis media) without you noticing it! As it can cause absolutely NO PAIN and your child will not complain. Bilinguals' and multilinguals' Life Stories Read them and get inspired! Bilingualism and speech delay. How can you help? Fun way to learn letters and start writing: What should I order? Mortadella alphabet! Children's radio from around the world. Let me know, if I am missing a radio station in your language. Best Russian Children's Cartoons and Movies. - Лучшие Руссие Детские Мультфильмы и Фильмы.